This Dual Arc Tube HPS & MH Grow Lamp features the extraordinary power of Super HPS and the balanced spectrum of Metal Halide Grow Lamp in one bulb. The benefits of Metal Halide and High Pressure Sodium together are vigorous growth, accelerated development, and hearty flowering. This lamp’ s unmatched energy spectrum provides the optimum light for plant growth through the entire growth cycle. 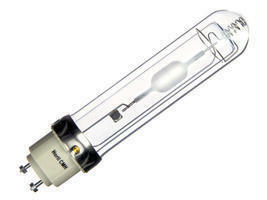 This lamp operates on standard ANSI S52 ballast, for use on 1000-Watt High Pressure Sodium systems.